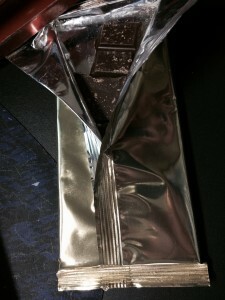 The chocolate itself was tasty. 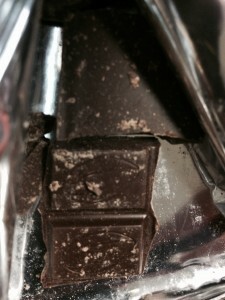 Texture wise it was sold with a solid crunch when biting. . It was no t creamy at all which suggests that fillers are not being used. The initial taste was more fruity and less bitter. It had a distinctive finish – almost like a fizzy feel on the back of my tongue. 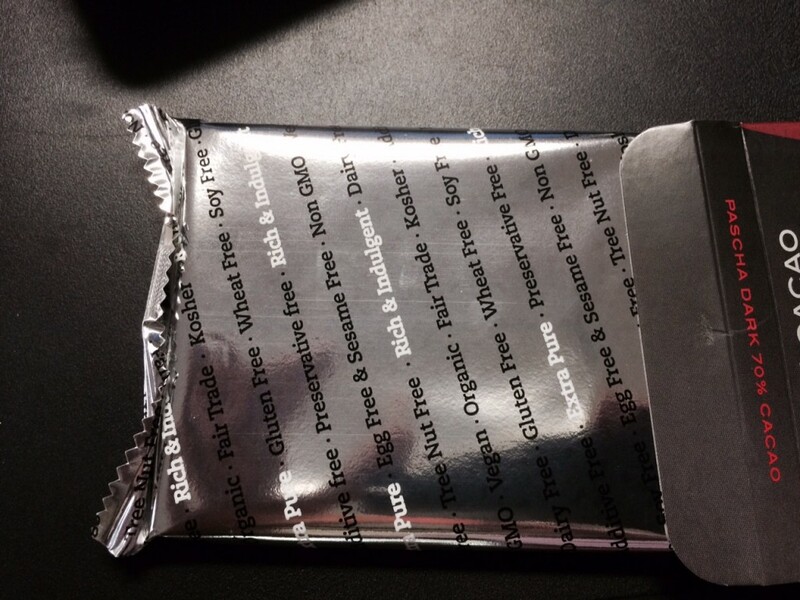 I purchased this 3.5 oz/100g bar from Fresh Market for $4.99. 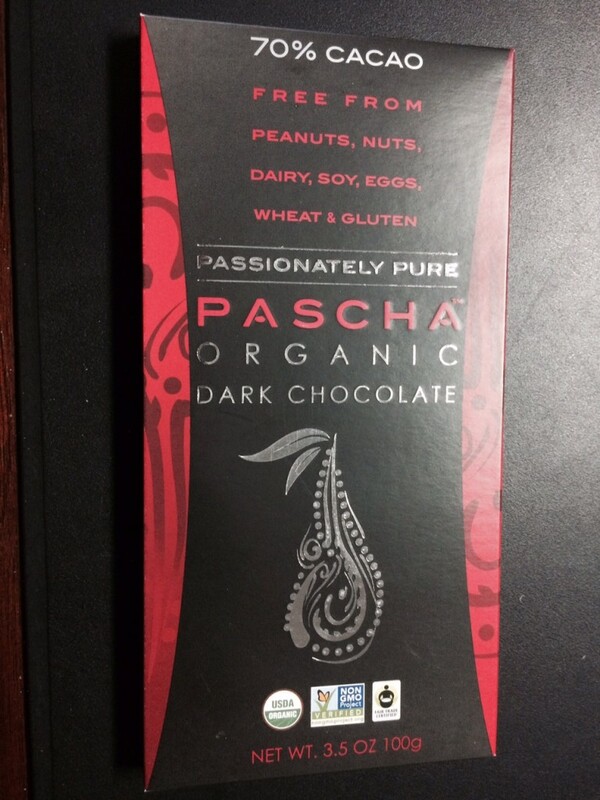 The label indicates that this chocolate comes from Peru and that it is “certifie d organic.” The bar comes in an attractive red outer sleeve, with the chocolate itself wrapped in a silver foil wrapper emblazoned with terms like “organic,” “pure,” “peanut free,” and “Non GMO.” It is dairy free and marked pareve. The bar came in one piece and was molded into 24 break apart small rectangles. 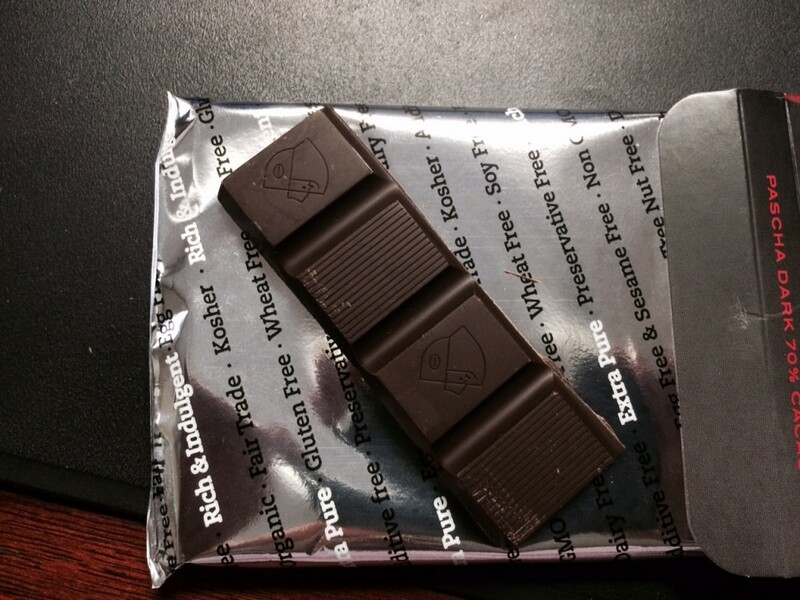 The chocolate had no bloom and presented very well. The chocolate itself was somewhat bitter and did not have a pleasing taste. 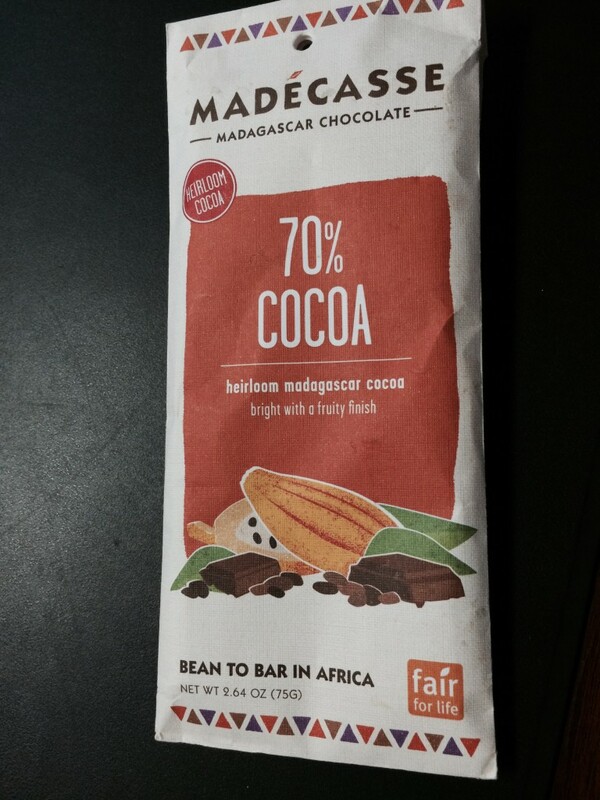 It had a nice texture and melted smoothly on my tongue but it tasted strongly of raw cocoa. 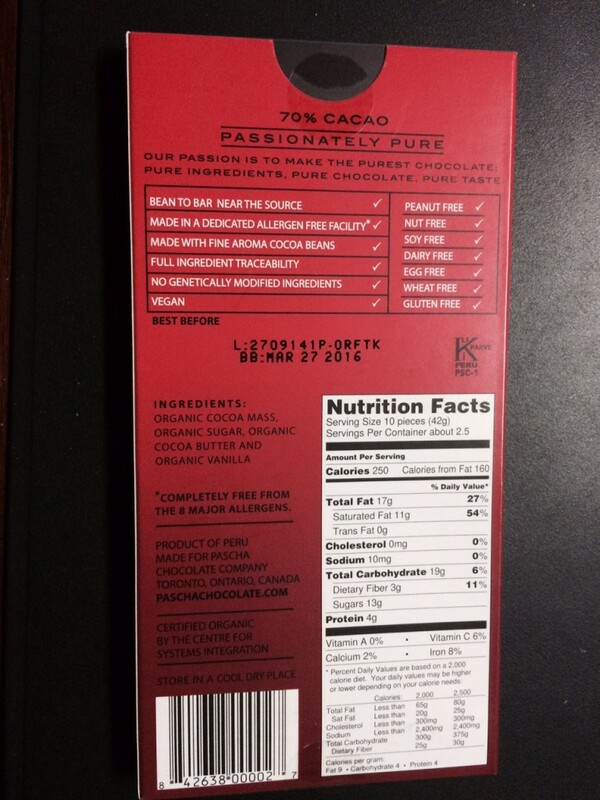 If I did not see the label I would have guessed that the chocolate content wa s much higher. I broke off 4 squares to eat and I could barely finish my selection as the taste was that unpleasant. The finish was even less appealing, leaving a bitter, harsh taste in my mouth.